Coming soon! 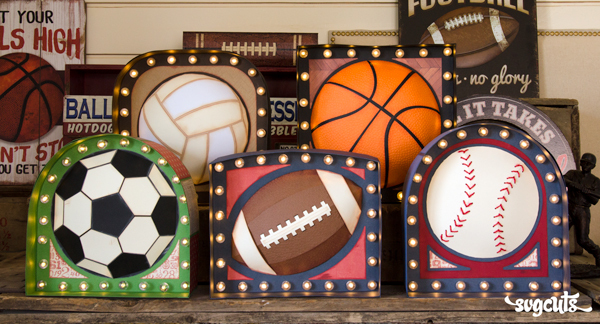 Five brand-new dimensional sports ball marquee signs! Soccer, volleyball, football, basketball and baseball/softball included as-shown! 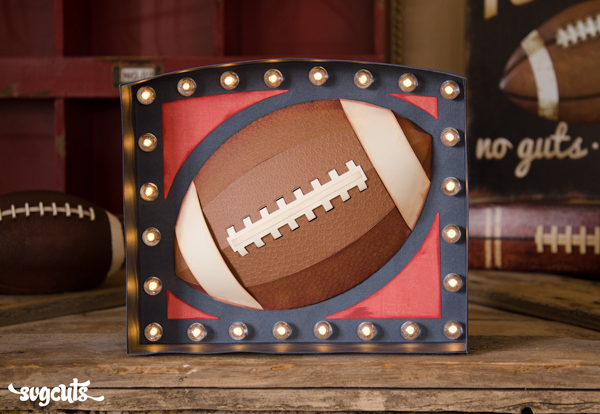 Customize each sign with your favorite team's colors! Each sign uses one string of 24 lights with 24 bulb caps from American Crafts. 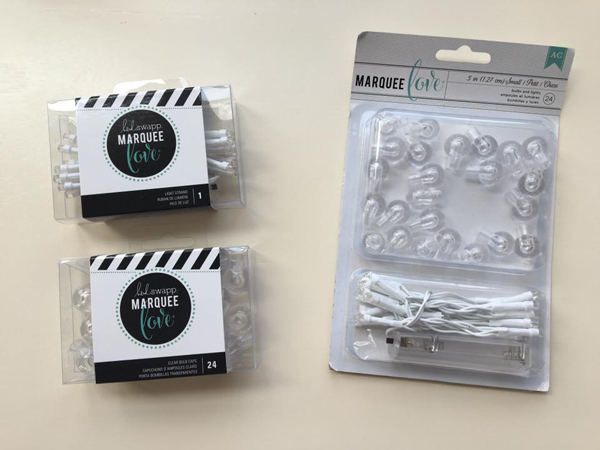 They come separately (pictured on the right, from Michaels) as well as in a combined package (shown on left, from Amazon). P.S. I used the Tiny Bubbles embossing folder by Cuttlebug for the texture on the basketball and football.